Mr. Graham sends Martha Berry a loan and is happy to do business with her. 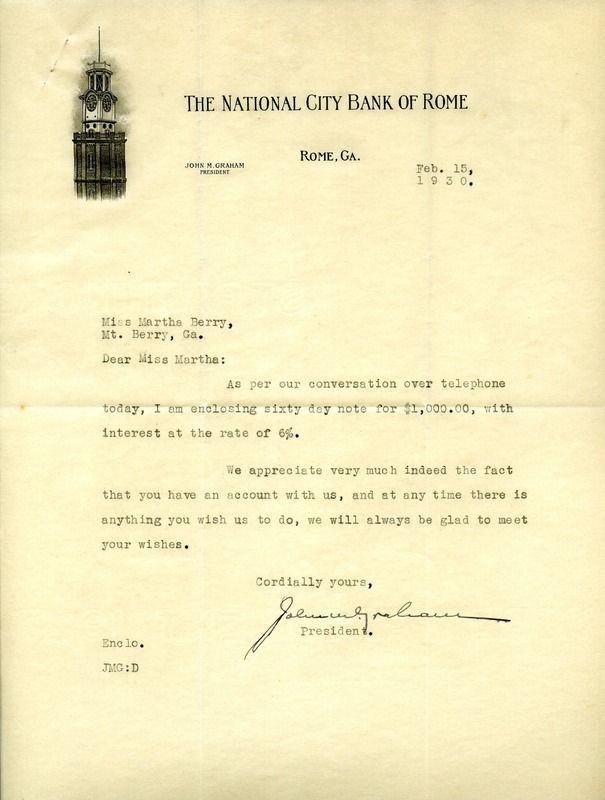 Mr. John M. Graham, “Letter to Martha Berry from John Graham.” Martha Berry Digital Archive. Eds. Schlitz, Stephanie A., Rachel Renaud, Angela McCavera, et al. Mount Berry: Berry College, 2013. accessed April 22, 2019, https://mbda.berry.edu/items/show/12655.